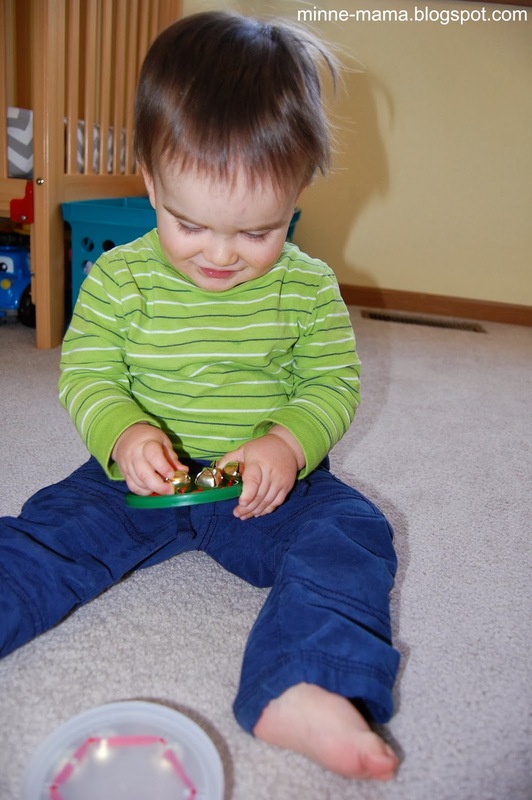 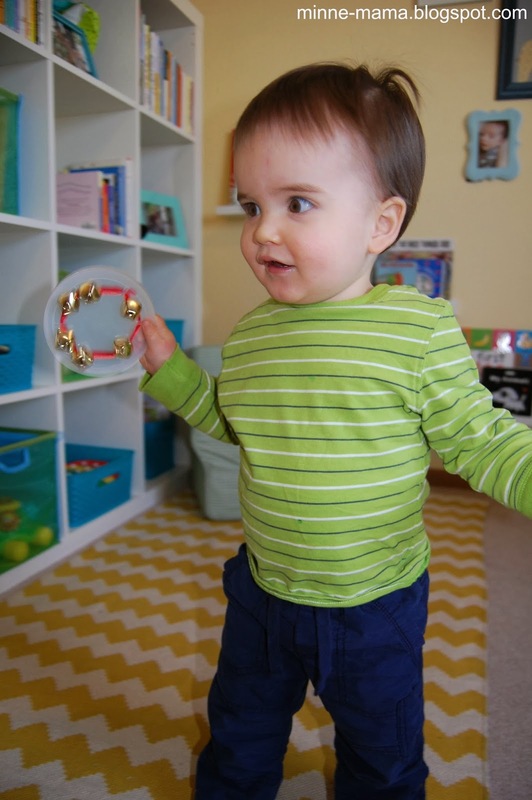 The idea for these simple jingle bell musical shakers came from our ECFE class. 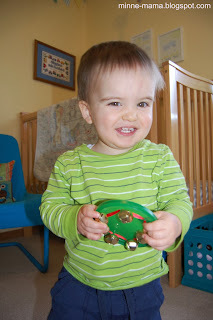 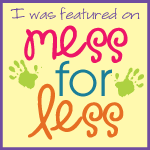 Skyler had a blast this week playing with one as the group sang "Jingle Bells." 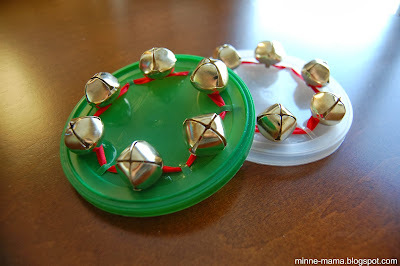 We had a couple of plastic lids on hand at home, so we went out to get some bells to make some of our own and have had so much fun with these! The shakers in our class used a hole punch, which would be a great way of doing it so older children could string the bells around the lid. 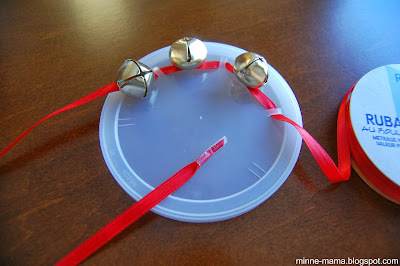 I used a knife to cut sets of two slits around the plastic lid and did the stringing of the bells. 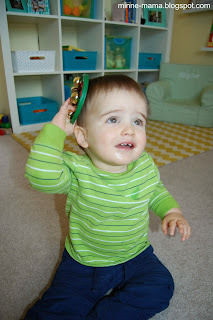 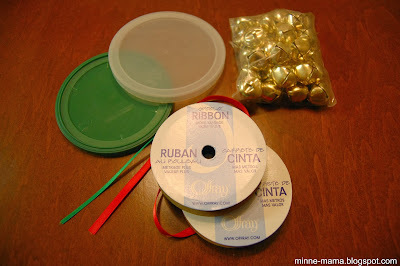 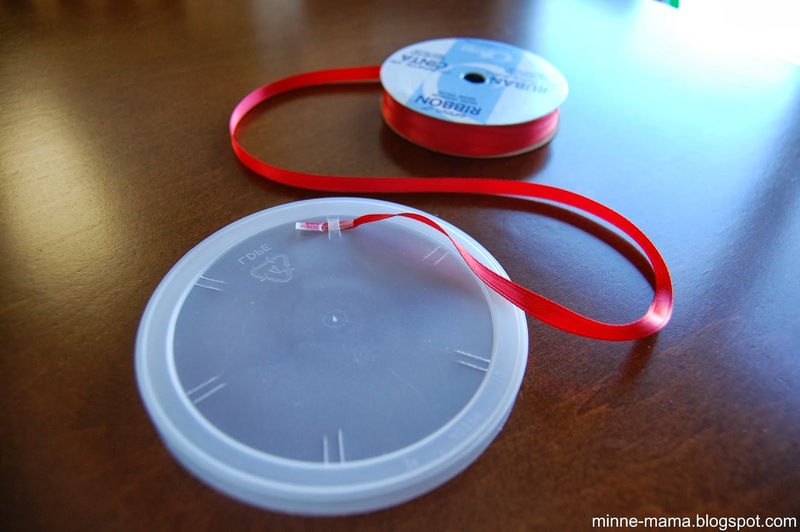 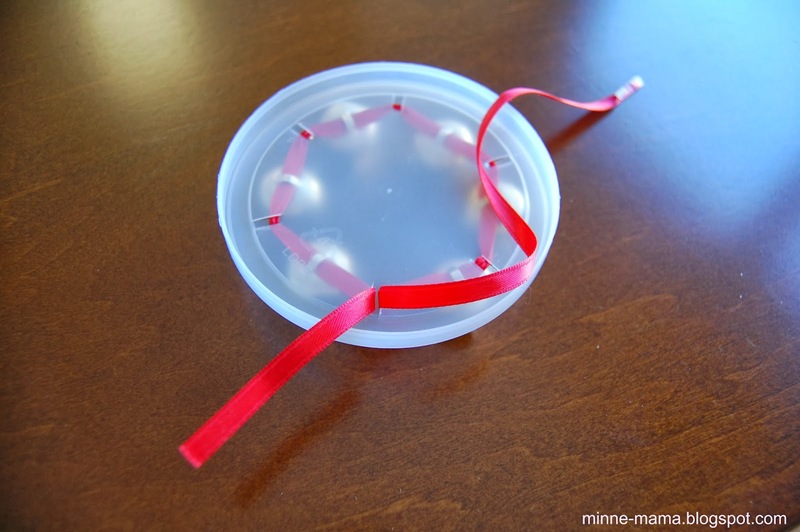 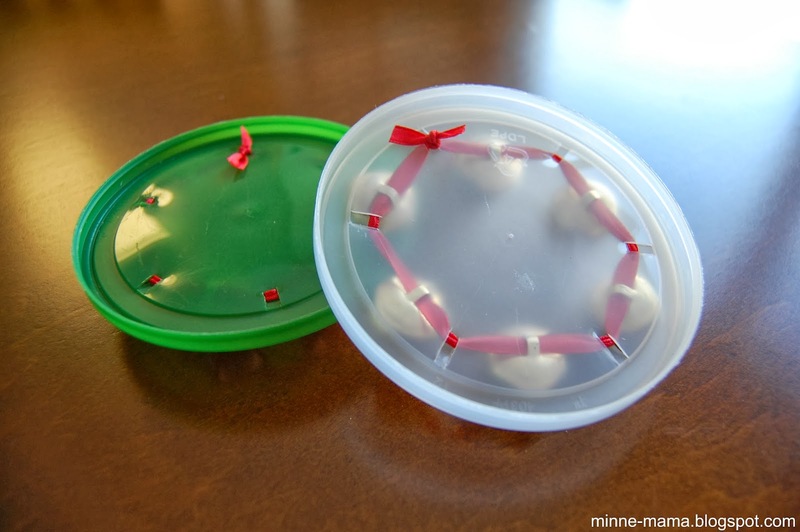 All that you will need to make the jingle bell musical shakers is plastic lids (one of ours was from happy tot puffs and the other was from a yogurt container), ribbon, bells, and tape (put on the end of the ribbon helped to string through the slits on the lid). 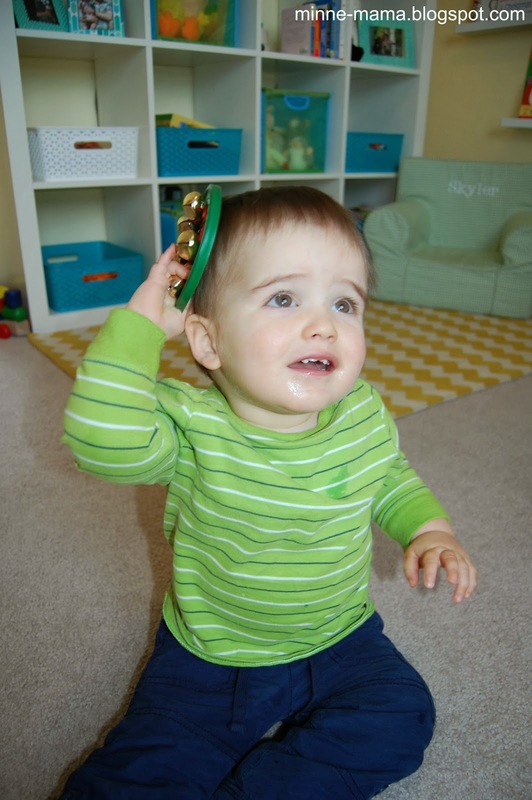 Skyler and I had a dance party to "Jingle Bells" and some other Christmas songs when he woke up from his nap (our instruments made good hats as well!) Even though these handmade instruments are Christmas themed, I know he will enjoy playing with them year round.